We were too busy being kids to notice that Donora’s economy was crumbling during the summer of 1962 under the weight of its vanishing steel industry. 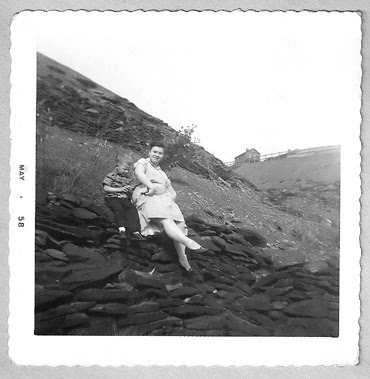 My playmates across the Monongahela River in the village of Webster, Pa., were more interested in the great adventure that the barren hillsides offered our imaginations than whether our fathers would have jobs tomorrow. Webster was known as the place where nothing grew on the ground that had been scorched for six decades by pollution from the upwind U.S. Steel mill. But our dusty brown gullies became Army trenches for boys pretending to do battle with Nazis during World War II. Some days we were cowboys scouting a new trail to the West and dodging pretend arrows from Indians on the warpath. In short order, the war game would turn to real fighting between the kid who wanted to play John Wayne and those who were assigned to be the enemy. The Hollywood movies we watched had already told us who was going to lose the pretend battle. The losers quit and went home while the brave went on to explore the dusty mountain that lay ahead. When storm clouds approached, it was time to run home. Heavy rain always caused flash floods that deepened the gullies because there wasn’t any topsoil for miles to absorb the water. Anyone was a sitting target for a bolt of lightening. And, to frighten us home, our parents had often told us a story about a kid who barely survived after being swept to the river one summer day by the runoff water that flowed like brown-water rapids. To scare us even more, the adults were always warning about a girl who forever went missing after falling into a well next to a house that had been demolished. There were ghosts of many houses on that hill. The stories we didn’t hear then were being discussed by our parents behind closed doors. They argued about where they would go, or how to pay the bills, because the Donora steel production was being transferred to a $55 million plant under construction in Gary, Ind. Some adults turned to crime. There was a burglary at the Victor Emanuel Beneficial Society in Donora, followed by another at a local Eat ‘n Park. Adults whispered about a young Donora mother who was arrested for abandoning and neglecting her four small children in her cockroach-infested apartment. Proud parents worried about the shame they would face if they joined those who asked welfare that summer for new shoes for 118 children before school resumed in August. Just about everyone was beginning to lose friends and neighbors as a cloud of depression settled over our valley. My pal, Ralphy, who taught me how to hit the head of a nail with a hammer, went to Fairless Hills, Pa., when his father was transferred to a job in a working steel mill. Kevin, who liked to play marbles with me during first-grade recess, relocated with his family to Chicago. And Lois’ parents took her family to Harrisburg, even though we were engaged by the age of 6. Those of us who stayed behind were going to have to get used to goodbyes. We would even say so long to the abandoned black houses that we used as playhouses. Some were torched while others were torn down by neighbors who were sick of seeing them next door. That is a wonderful photo Scott. Certainly illustrates how the industrial revolution used up the Mon Valley. This is great, Scott. I read it right through, find your writing draws me in, gives a strong sense of place.